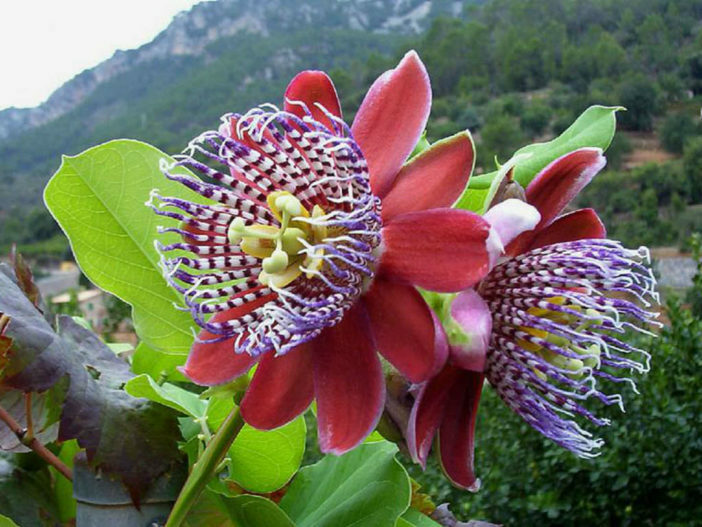 Passiflora alata is an evergreen vine, growing up to to 20 feet (6 m), with 4-winged stems and large, 3-lobed leaves. The leaves up to 6 inches (15 cm) long and up to 4 inches (10 cm) wide. 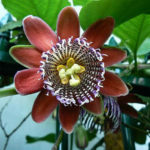 The fragrant flower is up to 4 inches (10 cm) in diameter, with red, curved tepals and a prominent fringed corona in bands of purple and white giving the appearance of stripes. It usually blooms around late summer or early fall. The edible fruit is egg-shaped, yellow to bright orange, up to 6 inches (15 cm) long and up to 4 inches (10 cm) in diameter. USDA hardiness zones 7a to 10b: from 0 °F (−17.8 °C) to 40 °F (+4.4 °C). 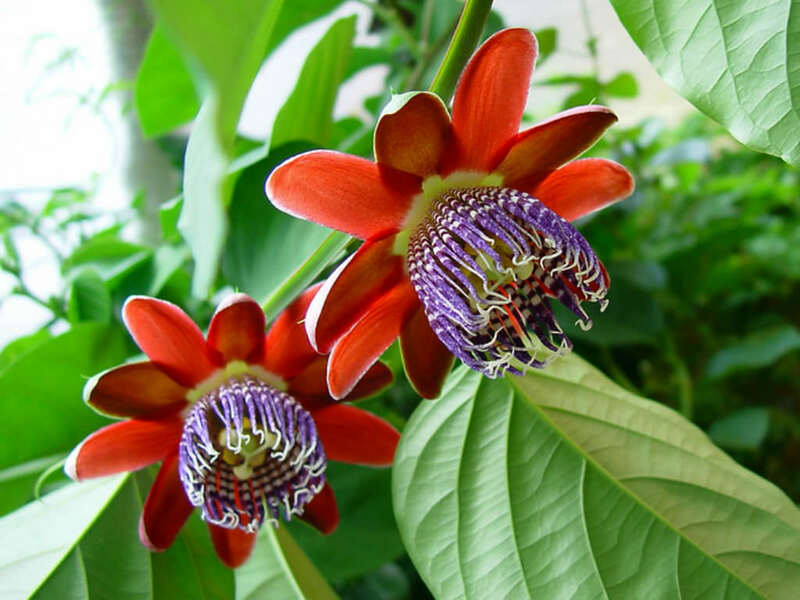 Their vibrant colors and heady fragrance make the Passion Flower a welcome addition to any garden. 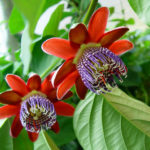 Unfortunately, because of its origins, most species of Passion Flower plant can’t overwinter in many gardens in the United States, although there are a few that will survive up to USDA plant hardiness zone 5. Most varieties will grow in Zones 7-10. 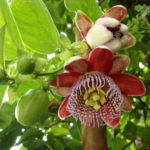 Because they are vines, the best place for growing Passion Flower is along a trellis or fence. The tops will be killed off during winter, but if you mulch deeply, your Passion Flower plant will return with new shoots in the spring. 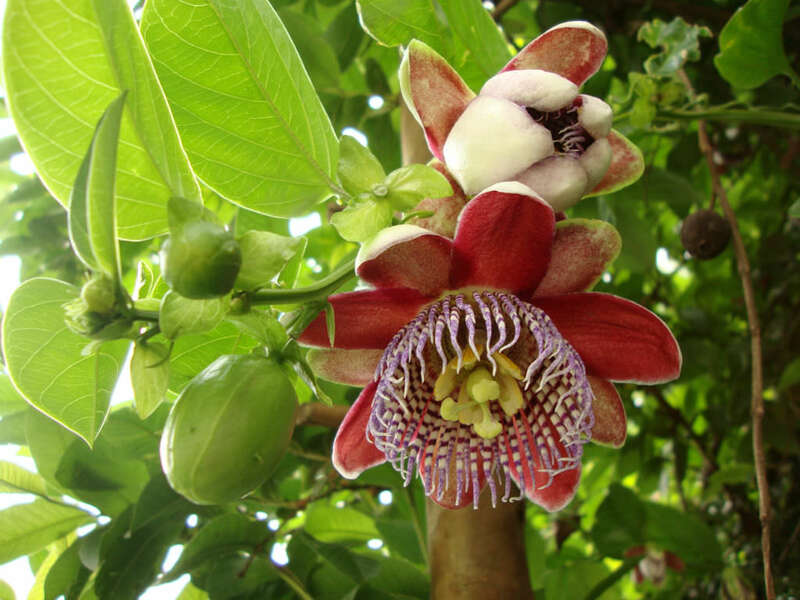 Since growing Passion Flowers can reach 20 feet (6 m) in a single season, this die back will help keep the vine under control. 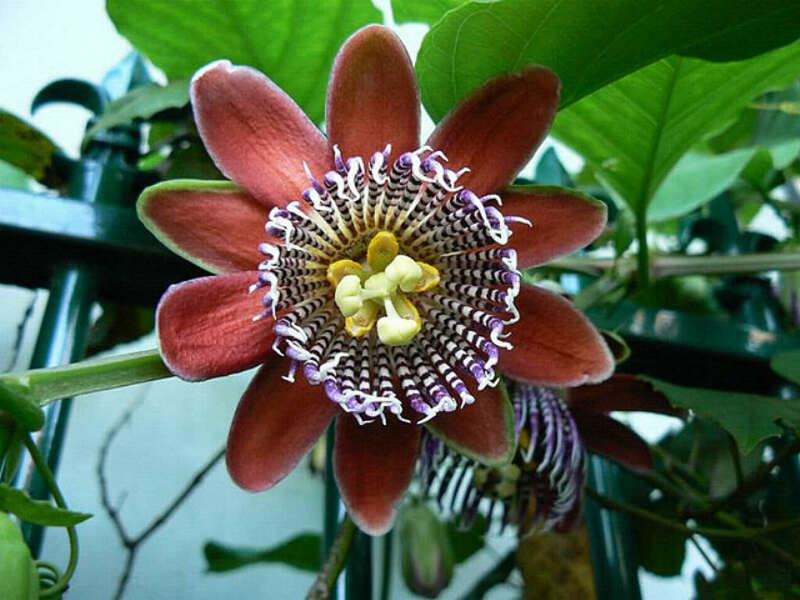 Passiflora alata is native to the Amazon, from Peru to eastern Brazil.